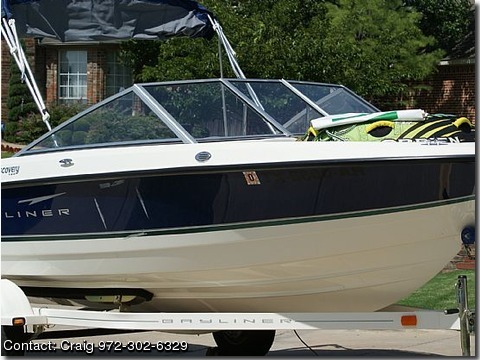 3.0L, Alpha I, 2008 18'6" Bayliner Discovery in NEW condition 3.0L Mercruiser Alpha I motor with 20hrs The trailer comes with the boat. Custom trailer made to go with boat. Purchased boat last summer, need to sell. Purchased with depth/fish finder, ski package (skis, tubes. ropes etc), seating package,custom cover, seats 7 people, and Sunbrella.